Misc. : Orange Beach AL house for sale at Ono Island. The Great Escape! This very private canal-front home featured on HGTV, beautifully landscaped with spectacular sunsets and captivating views of Bayou St. John is tucked into protected waters on Ono Island’s north side. Home has been recently renovated with fresh paint, high impact glass windows, shutters, granite, hardwood flooring, natural stone tile, crown, stainless appliances, walk-in pantry & closets, tons of storage, metal roof. Home is well elevated. This dream home has a shoreline of exceptional beauty. Relax, recharge & sleep to the sounds of the bayou. Come listen! 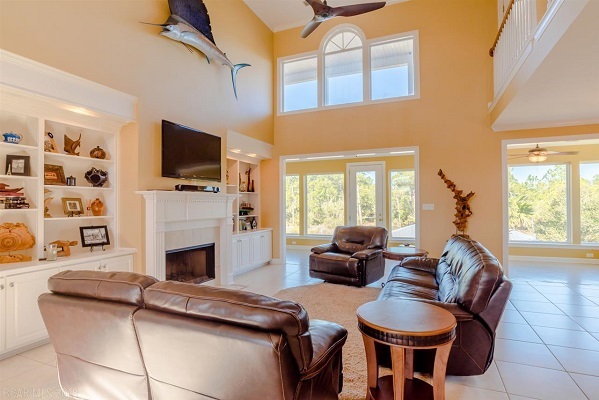 This entry was posted in alabama, Orange Beach Real Estate, Uncategorized. Bookmark the permalink.